It doesn’t feel like two minutes since I was typing my last post about new beginnings. Since leaving teaching full time, I’ve enjoyed a glorious summer working in Manchester city centre in the field of social media. Now that this chapter has reached its natural end, it’s time for another new start… only this time, who knows what it will bring? 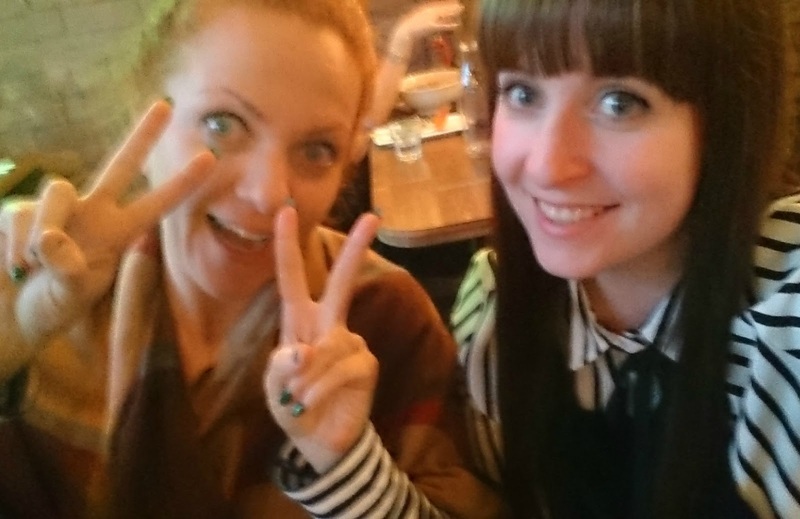 To celebrate the end of my internship, the office girls and I headed to one of Manchester’s newest restaurants, Pho. 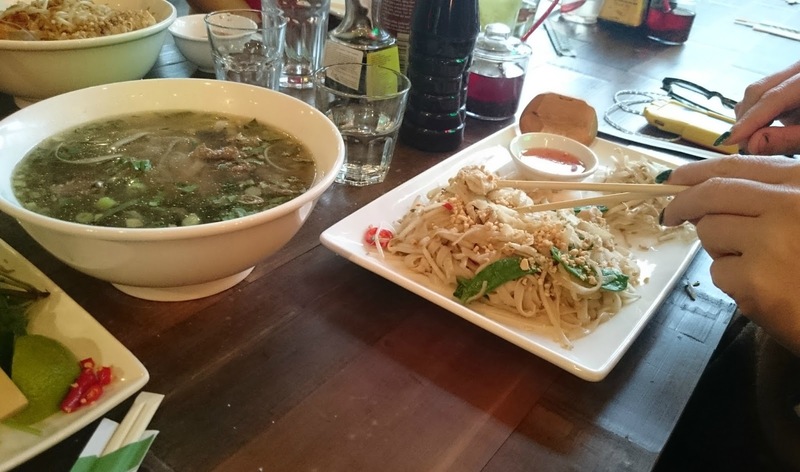 Since opening its doors, we’ve visited the Vietnamese street food restaurant twice. 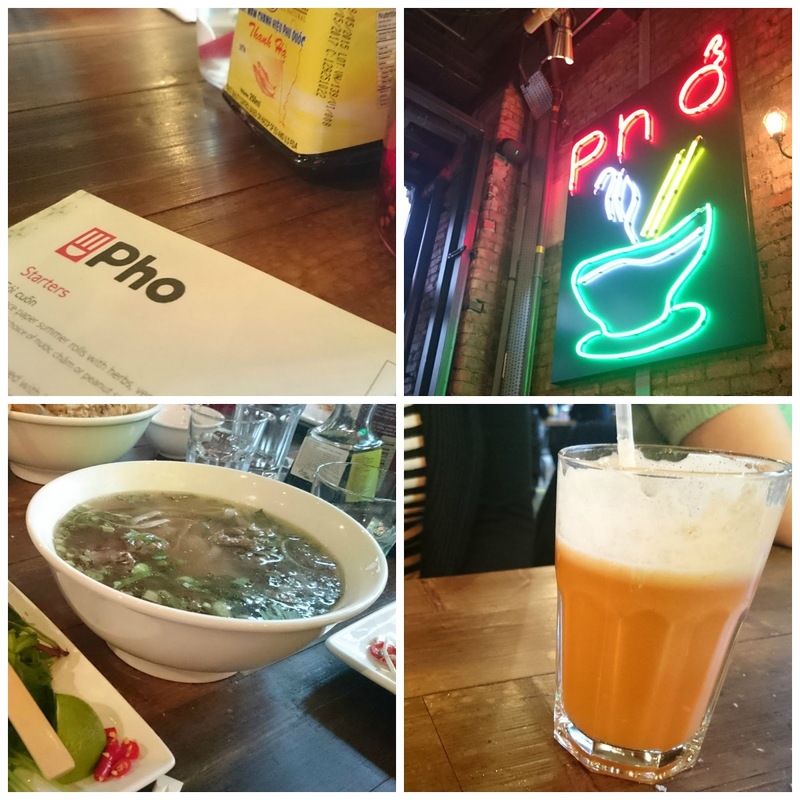 Visiting one lunch hour, we took advantage of Pho’s free food offer (yes, complimentary food in return for our patience whilst they smoothed out any teething problems) Needless to say, we were smitten and so, planned a return based on the excellent experience we’d had the first time. Arriving shortly before 6, we were seated in the heart of the restaurant at a long table clearly intended to help keep the conversation flowing. It didn’t take us long to choose starters and mains, with most of us opting for Nem Hải Sản, large crispy spring roll of king prawn, crab & pork with cham dipping sauce. Now, it sounds complicated, but it really isn’t. When arriving with our starters, the waiter explained how to eat Nem Hải Sản, just wrap the gem lettuce around it and dip into the sauce. Easy! What a taste explosion! Light, flavorsome and simply delicious. Suitably sated, we were ready for our second course and needn’t wait long. Whilst talk turned to the inevitable question of what life holds next, our steaming plates of Pho (Vietnamese noodle soup), Cơm tấm (broken rice) and Bún (vermicelli noodles) arrived and gave me some time to think about my answer. We also ordered a bowl of Phở tái to share. As you can see, I opted for a rich, fragrant Vietnamese curry called ‘Ca-ri’ served with broken rice and topped with nuts. If you saw my Instagram snaps from the first time, you’ll know I ordered this the last time we visited… it really is that good! 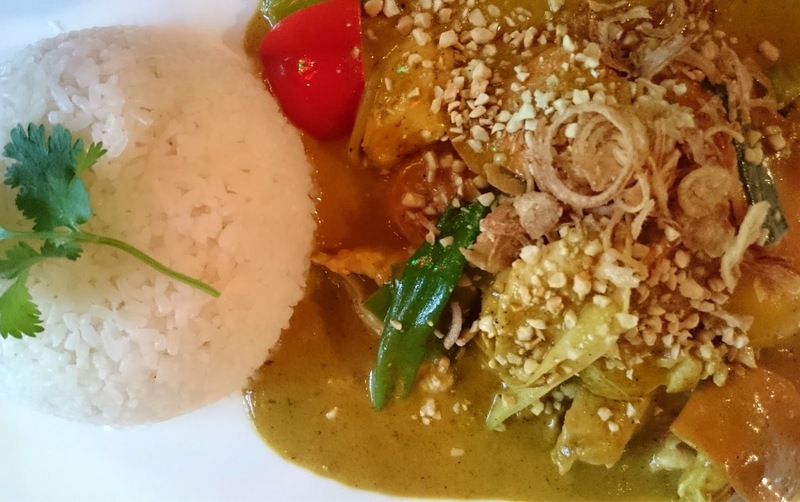 Although it does hold a spicy kick, it’s mild enough to enjoy if you’re fearsome of hot curries! 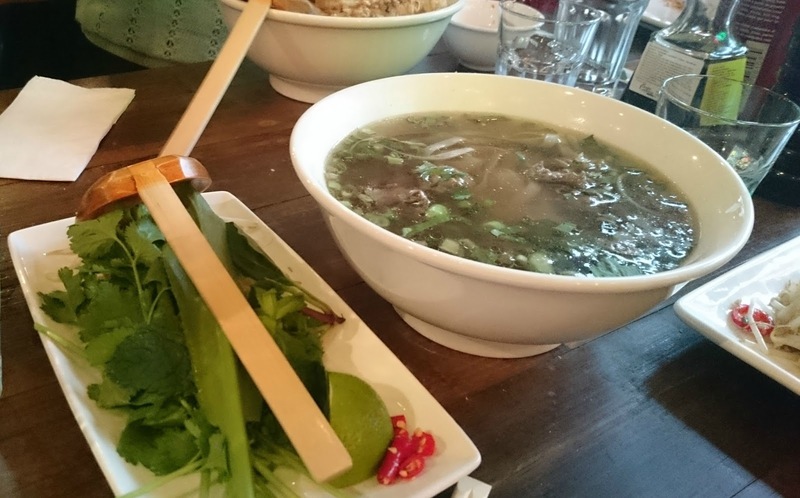 If you’re looking for a place to eat that’s a little different from the usual, try Pho. Feel comfortable, lay back and enjoy amazing food, with no airs and graces and no high prices. Most main meals are priced under £10 and starters are around £6. So, back to the big question: what does life hold next? While I loved each day of my internship, it paid minimum wage. Better than nothing, but not enough to pay the mortgage! However, it ignited my love of social media and digital marketing too much to simply let it go. In the meantime, it’s supply teaching as a way to make a living whilst I chase the dream. Looking back, would I do it all over again? Hell yes! 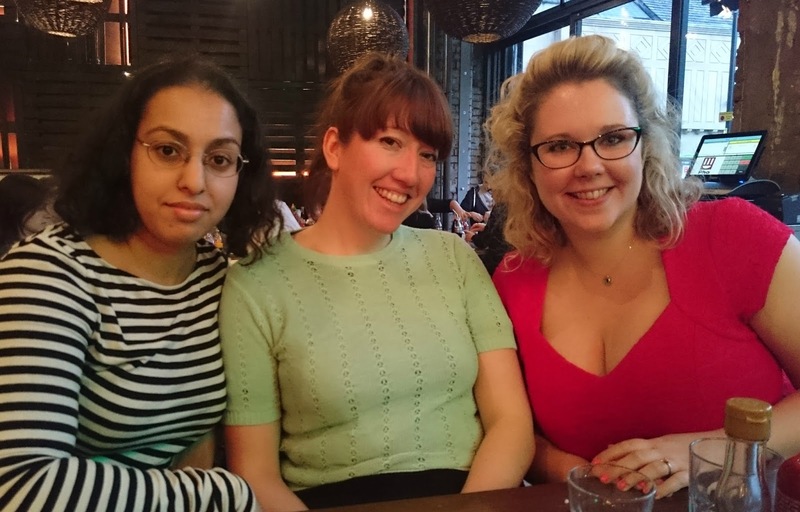 I met some amazing people, true diamonds that I miss working with daily and planning impromptu diner trips with! But for now, it really is time for the next chapter. Are you already a fan of Pho?